Cement is conveyed from the jetty by either pneumatic conveying or belt conveyors to the distribution system on the top of the flat storage. The total storage capacity of the terminal is about 60,000 tonnes. Existing flat storage and grain silos are used to keep the total cost down. Screw conveyors and aeroslides are combined in a highly flexible distribution system. An advanced visualisation system for control and supervision of the process during operation is included in the supply. For the bulk truck loading, an automatic PC based weighing system has been installed. 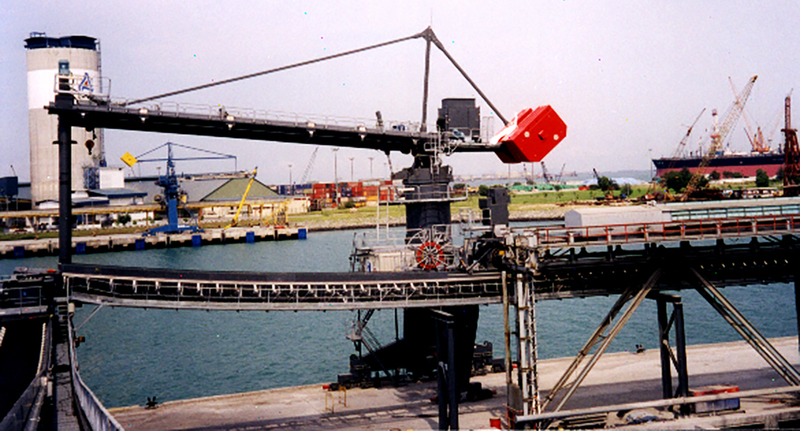 • Design, manufacturing, delivery and installation of ship unloader, conveying and dispatch equipment. • Design, delivery and installation of electrical distribution, PLC and PC control system. • Modification of grain storage and grain silos for cement. 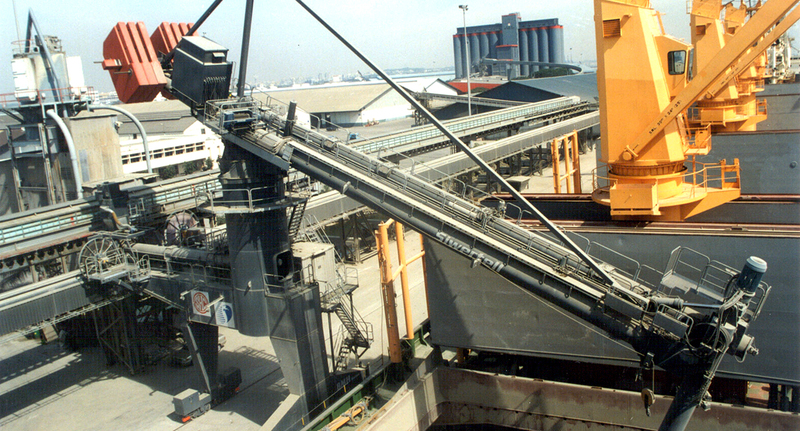 The terminal is designed to receive cement from self-unloading ships by pneumatic conveying pipes and from bulk carriers by the Siwertell ship unloader.